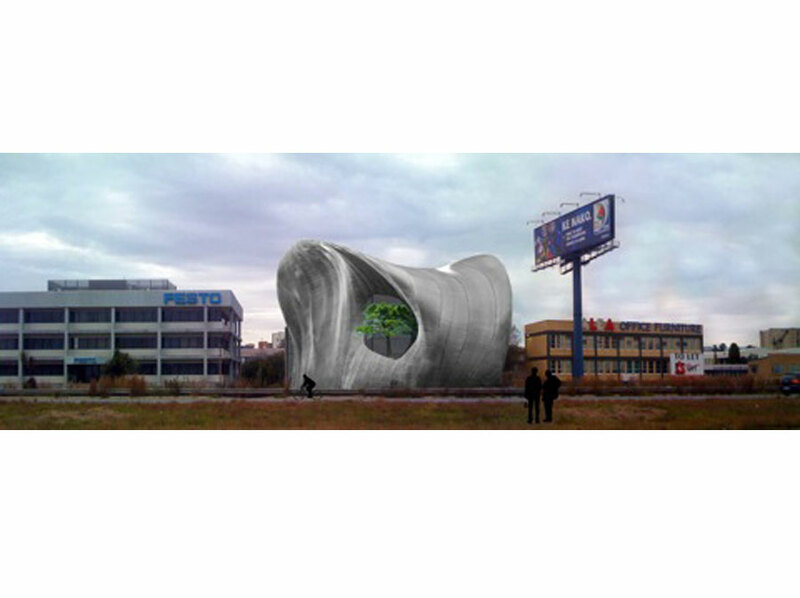 the design is based on the North facade on the existing building being highly visible from the Airport motorway as an advertising platform. 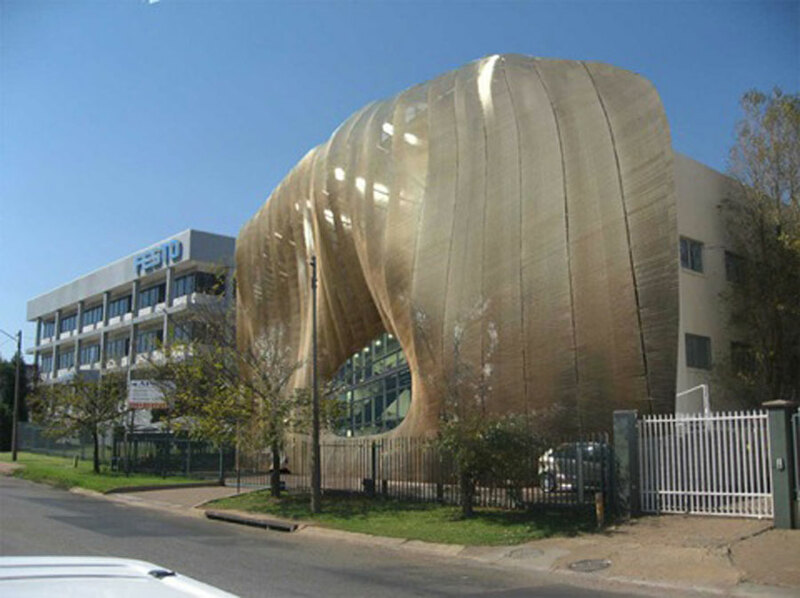 Using an Iconic sculptural form of the building to attract attention to the building and thereby exposure to apc. This form had to be relevant to enhance the experience from the office, and be a practical solution at the same time. The current windows are small and they have no sun control. To optimize the sense of light without the sun being a problem we have removed the existing windows and walls and made the external facade entirely glass. We have then added a stainless steel mesh skin away from the façade, thereby reducing the sun penetration. Between this skin and the new glass facade we have created a vertical garden. This green “lung” is visible from every floor and is accessible from numerous points. Walkways will link balconies, within this green zone. A mist/watering system will be incorporated to create a greenhouse effect. This will also serve as a passive cooling system in summer, thereby allowing cooled air into the building via the windows. The facade will be lit at night to enhance its form as a beacon of light, once again gaining exposure to the signage of apc.